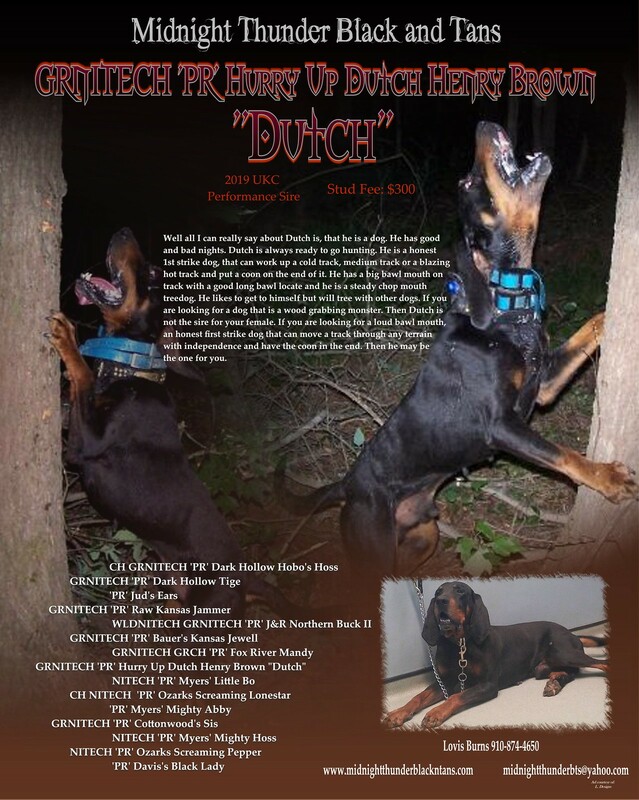 UKC Forums - At Stud: GRNITECH 'PR' Hurry Up Dutch Henry Brown "Dutch"
UKC Forums > UKC Free Classifieds > Coonhound Classifieds > Black & Tans: Stud Dog and Kennel Promotion > At Stud: GRNITECH 'PR' Hurry Up Dutch Henry Brown "Dutch"
Posts: 1834 At Stud: GRNITECH 'PR' Hurry Up Dutch Henry Brown "Dutch"
Lovis, Will you be hunting Dutch At B&T Days? I'd like to see him go if you were hunting him. Hi Doug, I probably will. I'm not sure yet. 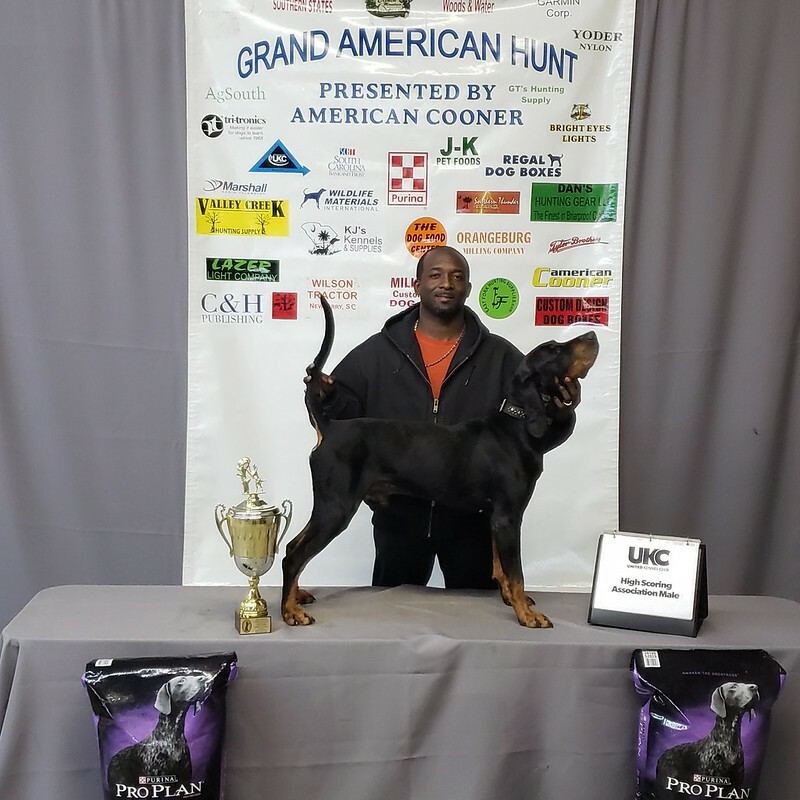 Dutch is now a $KC Champion!!! 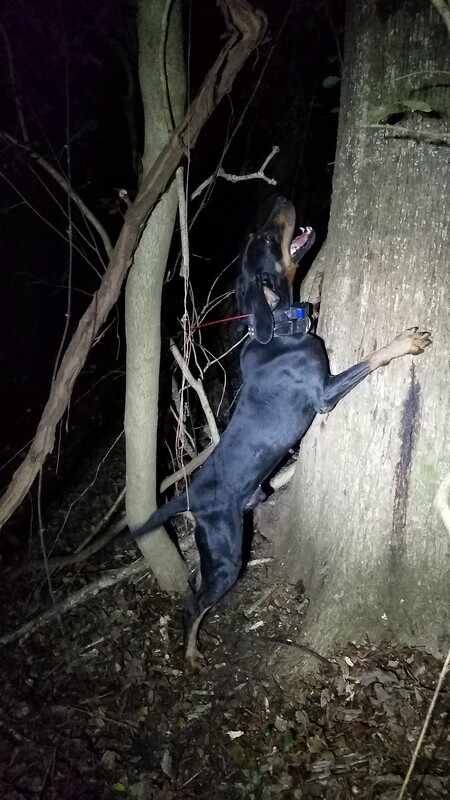 And qualified for the $KC 2019 World Hunt! Congrats! I'll talk to you at Flora and see what you've decided to do. If you do hunt Dutch, I'd like to spectate if you're ok with it. Thanks Doug. I will be hunting him there. And yes you can spectate. Great! Thanks, see you just over two weeks.